You might have already seen a Lubemobile mechanic around your area. Commonly serviced vehicles in and around your local area have been Holden, Toyota and Ford. Our mechanics arrive on site fully equipped and experienced to service all vehicle types. Recent clients have had their Hyundai, Ford and Peugeot completely serviced and repaired at their home address, their workplace and even their holiday destination. Parts are only of the highest quality and spares are sourced quickly and efficiently to ensure that your time is affected as little as possible throughout the repairs. Mechanics have on hand spares and parts like flywheel, transfer case and automatic transmission ready. 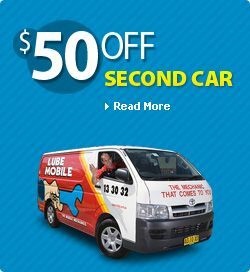 Lubemobile mechanics are available wherever you are like in Cooloongup. We attend to your vehicle wherever it is which includes anywhere from Beeliar, Port Kennedy and Dudley Park, and anywhere in between. We are Australia’s #1 mobile mechanic fleet attending to you when you need us. You can get your car serviced on holiday. Have the tyres replaced or rotated at work. 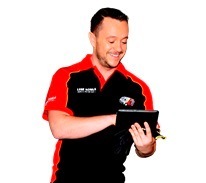 Our mechanics have serviced over 1,127 vehicles in your area over the past 3 months alone. Have a Log book servicing completed entirely on site at your home address. Or our mechanic specialists can travel fully equipped to wherever you specify to carry out work including cylinder head replacement and stopping oil leaking from the gearbox. No matter what your vehicle type including Ssangyong or Land Rover, on of our 19 vehicle specialists in Perth South will service your vehicle to industry leading standards. Our recently serviced clients have provided over 24 positive reviews from the Perth South region.